Motivate Seller!! This custom Insulate Concrete Forms (ICF) built, one owner executive home built on a cup-de-sac in Parkwood Estates was built for a discerning buyer. The owners took extra steps to be prepared for Florida weather. The walls are 11'' thick ICF, storm proof windows are able to withstand a 5lb object at 150 mph. But thats not all, the roof is a 50 year sculptured asphalt tiled roof. As you enter the home, you will notice the open floor plan that opens to a beautiful view of the lake out your back doors. The open floor plan with master bedroom and office on main level, plus 3 spacious bedrooms, and added bonus space on the second level. The home is walkable to Bluewater Elementary and convenient to many local stores. 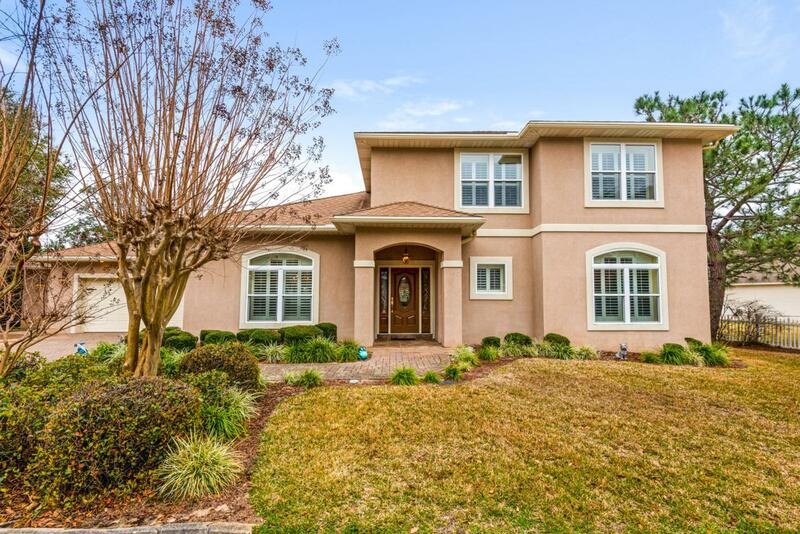 Must see to appreciate this one owner custom built home!The upgraded kitchen with granite countertops, cherry wood cabinets, sub zero refrigerator and a built in desk are perfectly situated to be the hub of the home. The entire downstairs has been freshly painted in the main areas. All new carpeting installed in bedrooms. The lot is flat with plenty of extra parking space and a basketball hoop for an inpromptu game with neighbors. Don't wait to see this home!